Researching your health care and prescription drug issues on your favorite dot-com, like WebMD or Drugs.com, before a visit to the family doctor may seem like a good idea. And in most cases, it is. 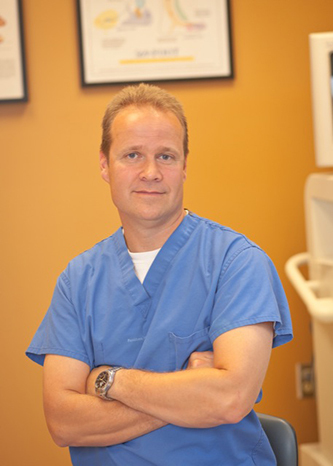 “Information is one of the most important tools a patient can have,” said Dr. Robert R Artwohl, general and vascular surgeon at the Alaska Vein Clinic in Anchorage. “Patients often come to the office ‘preloaded’ with information about their medical issues, medications, standard treatments, as well as alternative forms of treatment,” he said. “Yes, there is the adage that ‘a little knowledge is a dangerous thing,’ but I find most patients who do pre-office visit Internet research are better informed about their conditions and often have more realistic expectations about the risk and benefits of procedures. “It does happen that after finding information on the Internet a patient can come in expecting one form of treatment, only to find that particular treatment is not appropriate for them. However, to explain why they need a different approach doesn’t take up any more time than is required for the general approach of informing a patient about a procedure,” Artwohl said. Heilala recommends that patients get the clinical treatment opinion from a specialist before buying anything online. “We have people come in with a sack full of orthotic products, where none of them would have been recommended by the clinician had they come in earlier. “This is frustrating for the patient because they spent money for products or treatments they don’t need, and we always put in the time to apologize so that they do not feel buyers’ remorse or embarrassment,” Heilala said. “If the purchase is appropriate to the condition being treated, then it’s a win-win, but most of the time that’s not the outcome.” The Alaska Vein Clinic and other clinics typically have websites with links to resources and information for patients. The doctors’ advice summed up: Armed with advice from the experts, keep up the good work on your own research, but seek the advice of your doctor before taking your health matters into your own hands with the help of the Internet. • There can be more than one acceptable and effective approach or device for any medical problem or diagnosis. Physicians’ approaches to medical problems can be based on (or biased by) their training, results in their own practices, advances in the field that may not have surfaced on the Internet, discussions with colleagues, and by marketing campaigns. A patient researching treatment options should always keep in mind that a particular type of treatment might sound good online but may not be most appropriate for that particular patient’s unique set of conditions. • It is very important to be aware of the source of the medical information. For example, information obtained from a pharmaceutical company’s web site is likely to be slanted to steer a patient toward the company’s product. • Approaches to illnesses and treatments change. Information about treatment of a particular condition or reports about a particular device may be either outdated or not yet proven. Today’s great new drug may be recalled tomorrow. Many medications and medical devices advertised and promoted on the Internet, even by reputable sources, have later been found to be ineffective, defective or have serious side effects. • Beware of anecdotal experiences, such as the personal experience of one, two or a handful of patients. Almost any medical treatment can find one or a few patients who can claim to have benefited. This does not mean the treatment is effective and safe or that the treatment will work for most patients. And the most important thing, according to Artwohl: If something is promoted as easy, quick, “revolutionary,” or “something your doctor won’t tell you about,” be very skeptical.